Challenged to develop a new property in close proximity to an existing Hyde school in Hunts Points, Type A Projects principals sourced and managed the purchase of a suitable parcel for Hyde’s growth within an extremely limited search area. Once the site was secured, our team managed a highly interactive design process, aligning the cultural goals of the school and the community while incorporating the priorities of myriad stakeholders with site, schedule, and economic constraints. We managed the development process from site acquisition to move-in and participated in securing $21,000,000 in New Market Tax Credits, making new construction for this independent not-for-profit possible. 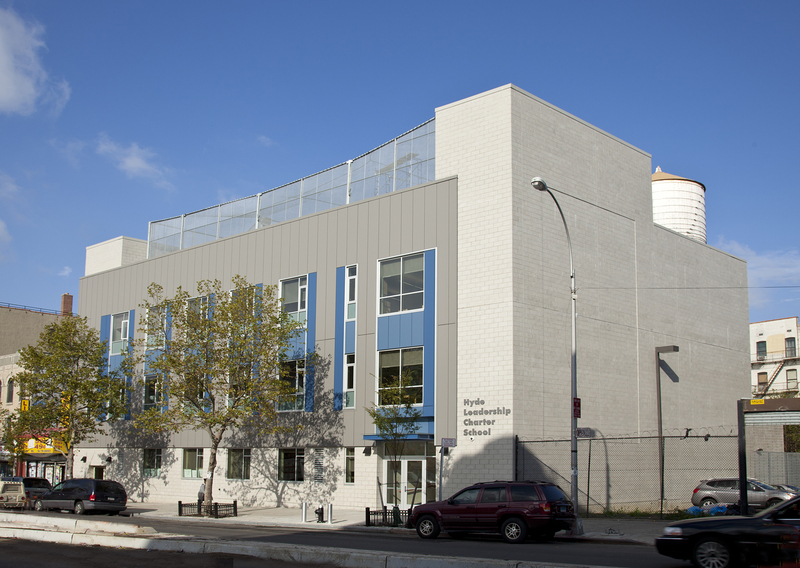 The only college preparatory school in Hunts Point, the facility houses 280 high school students and includes nine core classrooms, a science lab, art room, multi-purpose space, weight room, common spaces, administrative offices and a rooftop recreation area.